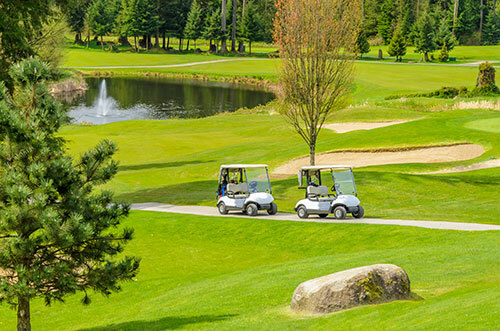 A golf cart isn’t just for the course anymore – it’s a useful mode of transportation. Do you drive it around your senior community? Or take the kids trick-or-treating in your cart? If you live on a big property, you may even take your golf cart to the mailbox every day. If you’re heading south for the winter, your cart may hope to join you. Or if you aren’t using yours anymore, you may be shipping a golf cart to an eBay buyer. Either way, you’re looking into golf cart transport companies who can give you the best combination of service and price. 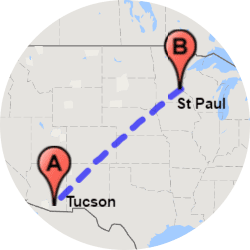 Golf cart shipping costs ~$1 per mile for 1-500 miles. So, a 350 mile trip would cost $350. 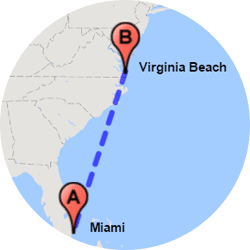 The longer the distance, the lower the price: Shipping a golf cart ~1000 miles drops it to $.75 cents a mile, or $750. 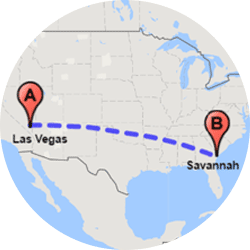 To ship a golf cart coast to coast can be as little as $.40 cents per mile. A golf cart shipping rate may vary based on your cart size, whether it’s running, whether you choose enclosed car transport or express shipping, and seasonal demand. 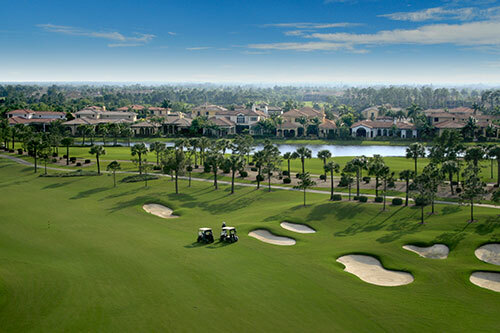 Factors like proximity to major highways can play a part, as some golf course communities are quite a bit off the beaten path. Enclosed golf cart shipping is 40-60% more, though that option is typically not called for in most cases. Our Quick Quote system generates 4 options for you: instant real-time quotes that we honor for a full 14 days: twice the industry norm, even if costs go up in the meantime. How long does it take to ship a Golf Cart? Golf cart delivery takes between 1-6 calendar days from the date your cart is picked up to when it’s dropped off. A driver usually covers about 500 miles per day. 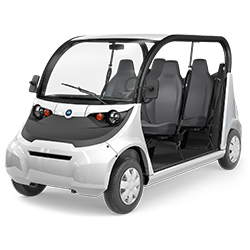 The first available pickup date is for golf cart transport is typically 2-7 business days after an order is placed, and express golf cart transport is usually available within 24-72 hours. While that involves an additional 30% fee above the baseline, it’s rare that a customer needs an such rapid shipment, or even a fully-guaranteed pickup or drop-off date: and we try to make sure you don’t need to spend a dollar more than you need. You get the best value when you select standard delivery, which is when you give a window of dates and are quite comfortable with the driver’s schedule being adjusted +/- 1 or 2 days to accommodate other shipments on the transporter that may have a tighter deadline than yours. When you want to move a golf cart, there may be some “sand traps” along the way. But we’ve been buying, selling and transporting golf carts and other vehicles for decades, so we’re pretty good at mitigating some of the possible holdups. 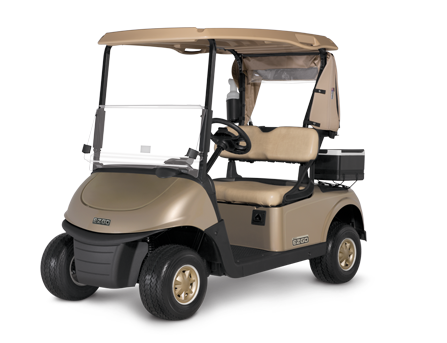 Once you click to book an order or call to say, “ship my golf cart,” we identify which of our carriers is best suited for pickup in your area, given the dates you request. At Easy Car Shipping, we have an on-time delivery record of 83% -- better than most airlines. Should I consider enclosed golf cart transport? 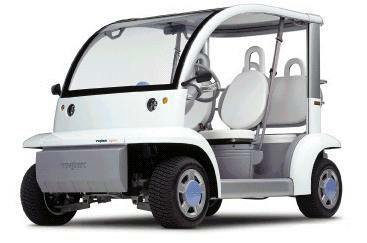 Open transport works quite well for 8 out of 10 customers, including golf cart owners, and it offers the best value. But if you’ve done your research through resources like Axle Geeks and ordered a brand new, beautiful golf cart, having it arrive in pristine condition may be important to you. But even if you’re moving your older model and it’s going through the mountains in winter, enclosed golf cart transport could be something to consider. 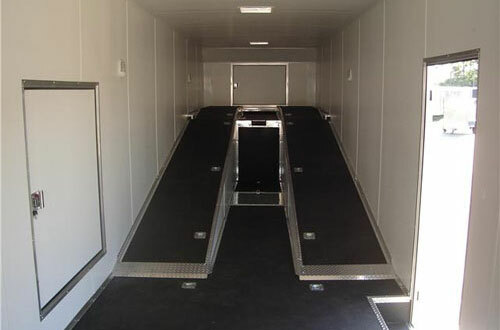 Enclosed trucks typically carry just 2-6 vehicles (compared to 7-10 on open carriers), so with this service each vehicle or golf cart gets more individualized attention and of course shield vehicles from inclement weather. Whether you choose open or covered transport, you’ll be glad to know our overall claims rate is less than 1 in 1,200 shipments. That means that 99.92% of deliveries arrive in the same condition as the vehicle left. It’s one of the reasons we are among the best golf cart transport companies in the country. 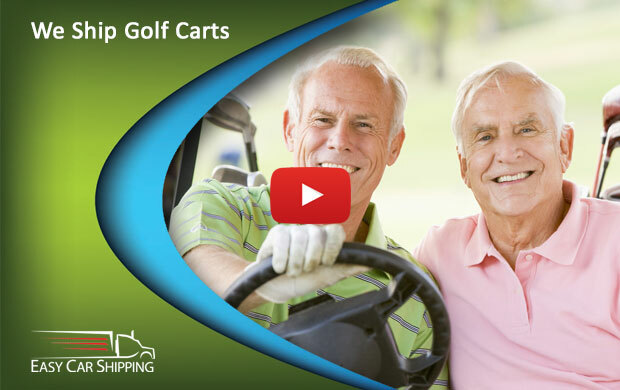 Why is Easy Car Shipping best for shipping golf carts? Simply put, because we offer the optimal combination of service and value. 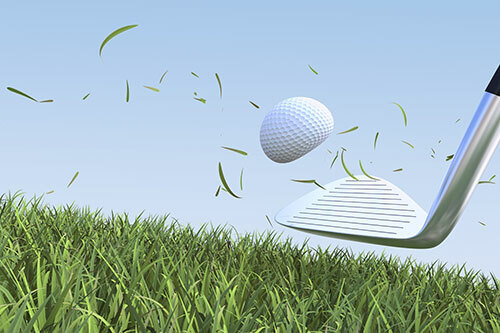 You want the best golf cart moving services possible – that just makes good sense. And you want a the best golf cart shipping rates. You have the opportunity to score on both counts. Our 4.8 star ratings speak for themselves – but we don’t say this just to talk ourselves up. We assign a dedicated Transport Coordinator to every shipment, so you’ll have a direct line to reach the same person for updates. You’ll also have the name and cell phone of the driver during transit. You want a transport company for golf carts you can trust. You want their back nine to match their front nine – in other words, consistency. 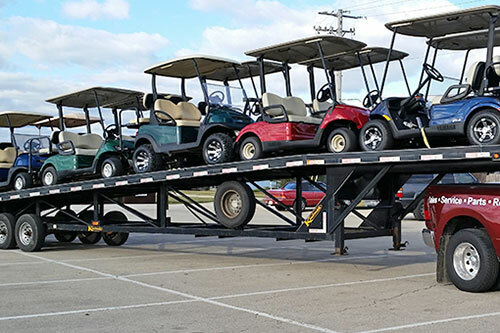 Whether you’re an online buyer, someone who sold a golf cart and now has to get it delivered, a snowbird, or a golf enthusiast moving to a new state – our nationwide golf cart transport service is head and shoulders above the rest.